Perfect location to enjoy all the Lake has to offer! King size bed in master bedroom. Queen in the second bedroom. Queen in the loft. Plus a queen sleeper sofa! Offers full kitchen with microwave, dishwasher, washer/ dryer, TV/VCR, and a lakeside balcony with gas grill. Free WIFI! If you are looking for a place to start enjoying the Lake of the Ozarks... YOU FOUND IT! 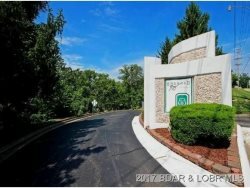 Baypoint Village Condo in the Heart of Osage Beach! SPECTACULAR LOCATION. Great complex with mature trees, large swimming pool, 2nd tier pool, tennis court and so much more. Wonderful Osage Beach location at the 24 MM by boat and Hwy KK by car! A maximum of 2 parking passes are issued for condo rentals.